Had a few hours out and about locally today. 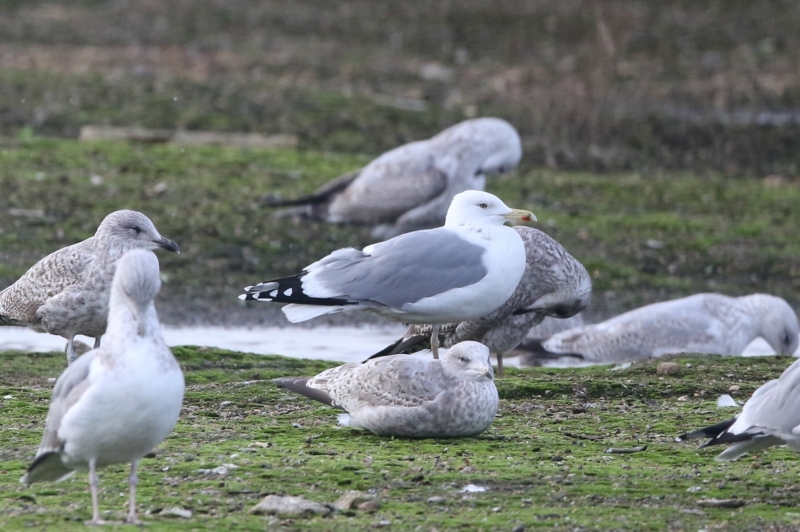 Firstly around Rotherhithe, where the gulls were quiet and then, fourth trip this winter to Burgess Park in Peckham - once again no sign of the previously wintering Mediterranean Gull there, which I originally found back in 2008, so assume it's now no longer with us. Sad times. But anyway, to blow the cobwebs off after a return to school midweek, I headed to Crayford to spend a couple of hours with the gulls there. 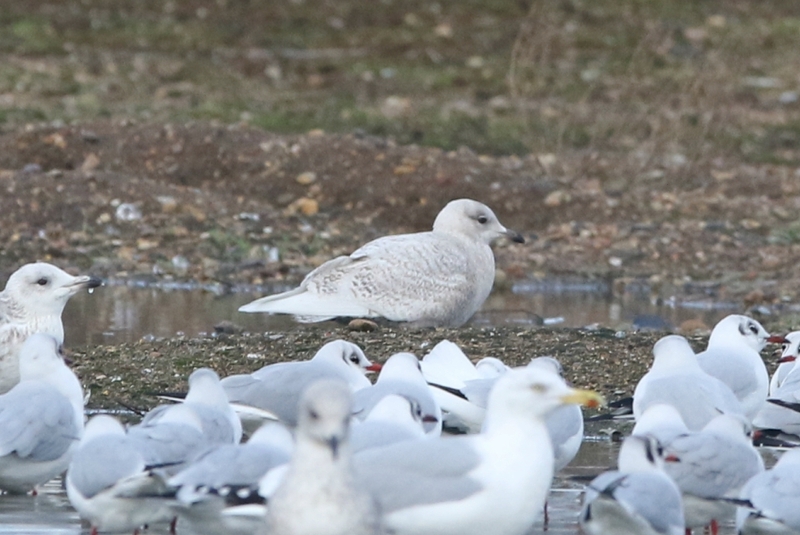 And within 15 minutes, I'd found a nice juvenile Iceland Gull at the back of the flock. 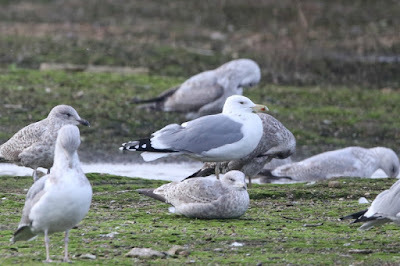 Looks ok for an adult Caspian Gull, but there is a little bit too much of a dark underside to P10 for my liking, though perhaps this is the posture too. 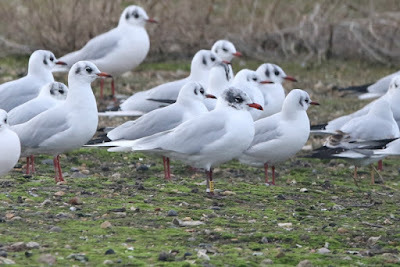 It never did fly, or at least when it did I was reading the rings of the large numbers of Black-headed Gulls which included this adult Mediterranean Gull (2E50) that had been ringed at Pitsea back in 2013. So that was that, back to a warm flat and a relaxing Saturday evening.